Chobani became the biggest US yogurt brand by trumpeting the advantage of its Greek over traditional varieties. Now it’s introducing regular yogurt to fuel growth. Since its founding in 2005, Chobani has grown into an almost $2-billion-a-year thorn in the side of the dairy aisle’s established giants. It introduced Americans to Greek yogurt by promoting its thick texture and higher protein content, and now Chobani is the top-selling yogurt brand in the US, having surpassed General Mills’s Yoplait last year. But lately sales of the Greek variety have slowed, falling almost 5 percent in the past year. That’s causing Chobani CEO Hamdi Ulukaya to embrace an unlikely product to fuel growth: conventional yogurt. 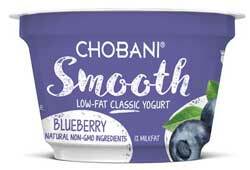 Despite having long branded the traditional variety as overly sweet, boring, and stuffed with artificial ingredients, Chobani has begun rolling out Smooth, a set of five flavoured yogurts that are lighter and smoother than its Greek variety. The new product line, made with more milk than traditional yogurt but less than Greek-style, is part of Ulukaya’s bid to win over Americans who don’t eat yogurt or have moved on to such things as snack bars or beef jerky. After hitting store shelves in 2007, Chobani’s Greek-style product surpassed $1-billion in annual sales within five years, winning customers from General Mills and Dannon, the US brand of the French food giant Danone. As recently as 2011, Yoplait controlled 25 percent of the US yogurt market. An 11 percent sales decline in 2016 dropped Yoplait into second place behind Chobani. Dannon, whose broad portfolio includes the Oikos brand of Greek yogurt, remains the top yogurt seller in the US, with sales exceeding $3-billion last year. Ulukaya wants that spot and thinks regular yogurt will feed Chobani’s growth over the next 10 years. Chobani stumbled after its quick rise, struggling with the operation of a massive new plant in Idaho. There was a yogurt recall, along with delays filling orders and some calls for Ulukaya to be replaced. But the billionaire founder, who flirted with selling a stake in the company to PepsiCo before spurning the soda giant last year, has overseen a rebound: Chobani posted sales growth of 14 percent in 2016, according to Euromonitor International. Still, over the past year, industrywide Greek sales slipped 4.6 percent, outpacing the 2.8 percent decline for yogurt overall, according to researcher Nielsen. Ulukaya blames the weakness on the bevy of Greek yogurt products that flooded the market after Chobani’s rapid rise, only to see their sales fade as the novelty wore off. Chobani Smooth, which sells in two-packs for $1.79, is meant to appeal directly to a mass audience that shops for groceries at Kroger and Wal-Mart Stores. That means the company has to steal market share in a highly competitive category where sales are falling. While Yoplait’s struggles forced General Mills to cut its profit forecast for the fiscal year that ended in May, the food giant has cooked up a recipe for a yogurt rebound. The company, which missed the initial Greek craze and failed in a bid to sell its own version, is launching a yogurt called Oui — made using whole milk and no artificial colours or preservatives — that boasts a French heritage. Thicker than conventional yogurt and sold in small glass jars, the product has been marketed in France for more than two decades. The target consumer? Someone who’s gotten tired of Greek yogurt. Ulukaya insists he would welcome improved products from Yoplait and Dannon, because they would draw more Americans to visit the dairy case and encourage retailers to dedicate more space for yogurt—ultimately boosting Chobani’s bottom line.